Mr. Chairman/Madame Chair, Honorable Ministers, Heads of Delegations, Distinguished Guests, Ladies and Gentlemen, Good morning/afternoon! 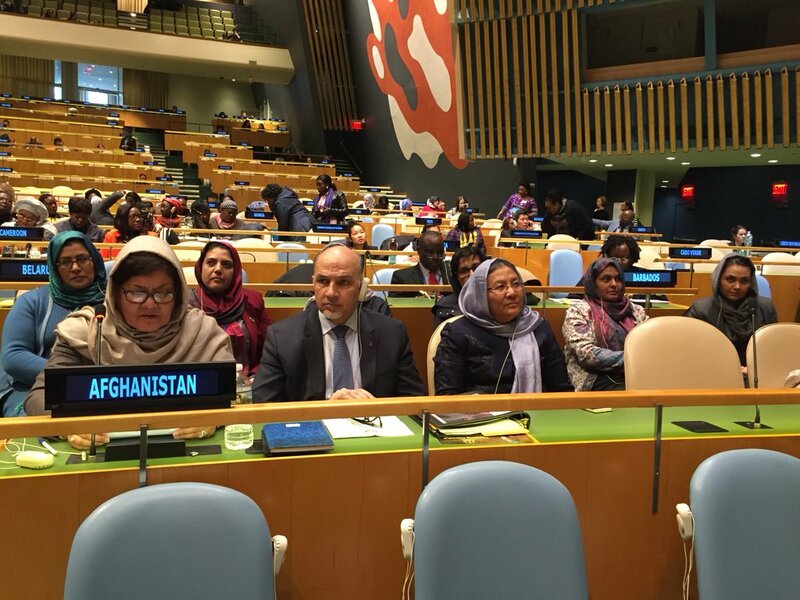 As head of the Islamic Republic of Afghanistan (GOIRA) delegation, it is an honor for me to express my government’s strong support to the priority theme, “Challenges and opportunities in achieving gender equality and the empowerment of rural women and girls” of 62nd Session of Commission on the Status of Women (CSW62). I am confident that the discussions, decisions and agreements of this important session will have a positive impact on the status of women and girls in our country. The GOIRA, in cooperation with the United Nations, International Community, and Civil Society Organizations, is committed to women’s empowerment and gender equality and these themes remain at the center of all of Afghanistan’s priority programs. However, the struggle for gender equality, the empowerment of rural women and the full realization of the rights of women and girls in my country has a long way to go. Many women in rural areas continue to face widespread human rights violations, lack of access to justice, lack of access to health services and treatment, quality education, access to clean water, exposed to sexual harassment and other challenges. Afghanistan is currently in the process of drafting the third CEDAW periodic report and I am happy to report, to a large extent, the provisions of CEDAW have been incorporated into domestic laws and policies. Likewise; we have systematically incorporated the principles and provisions of gender equality into national plans in the areas of health, education, employment, political participation and access to justice. 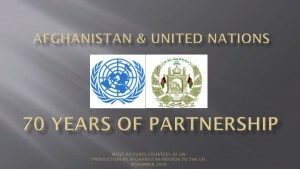 The Government of Afghanistan, as a committed member of the United Nations, is currently in the processes of approving the National Action Plan for the Implementation of Sustainable Development Goals (SDGs). Further, the Afghan government’s efforts to implement the Security Council Resolution 1325 National Action Plan together with the civil society and the international community is ongoing. In addition to the continue efforts towards the effective implementation of Elimination of Violence Against Women Law, the Parliament and the government have recently adopted the anti-harassment law of women and children, in which all forms of gender-based harassment, in the workplace and in the community, is prohibited. Citizens’ Charter is the first 10-year intergovernmental program, in which one-third of the country’s population, are provided services and work infrastructure to promote poverty reduction and improve quality of life. The National Priority Program of Women Economic Empowerment focuses on two areas: First, the program provides women with educational programs to increase their skill level to ensure their active and productive participation in the economy; and second, it equips women business owners with initial technical and financial resources. 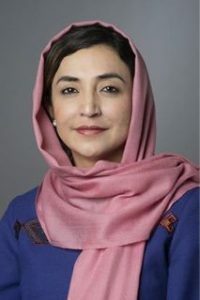 Further, in support of women and girl’s empowerment, the Government of the Islamic Republic of Afghanistan has developed several initiatives to increase women and girls’ participation in formal education. As part of the Ministry of Education’s 5-year Strategic plan, it aims to increase the enrollment of girls in rural areas by 50% and increase their inclusion in technical and vocational training up to 26%. To date, more than 9.3 million students across Afghanistan are enrolled in formal education, of which 3.5 million or 36% are girls. The Ministry of Higher Education plans to establish a dedicated university for women, increasing women’s participation in higher education institutions to 25% by the end of the next five years. Moreover, more than 240 women are currently serving as judges in the country’s judicial system, and women represent 21% of the members of the Afghanistan Independent Bar Association, which is an advocate for women’s advancement in the justice sector. Ensure the implementation of the Women’s Economic Empowerment (WEE-NPP) national priority program, which aims to remove the structural barriers to women’s access to economic activities and access to resources and skills development in the areas of trade, industry and agriculture. Thank you for your attention, commitment and sustained support for gender equality and empowerment of women and girls in Afghanistan and throughout the world!